I wasn’t planning to post this, but it was one of those pleasant surprises where the kids are actually eating — and enjoying it — and Jeff and I are sitting at the dinner table with our mouths hanging wide open. The kids are eating something green. Not complaining. Huh? So I yanked their plates away quickly to snap a picture. Isn’t that what all sane mothers would do? 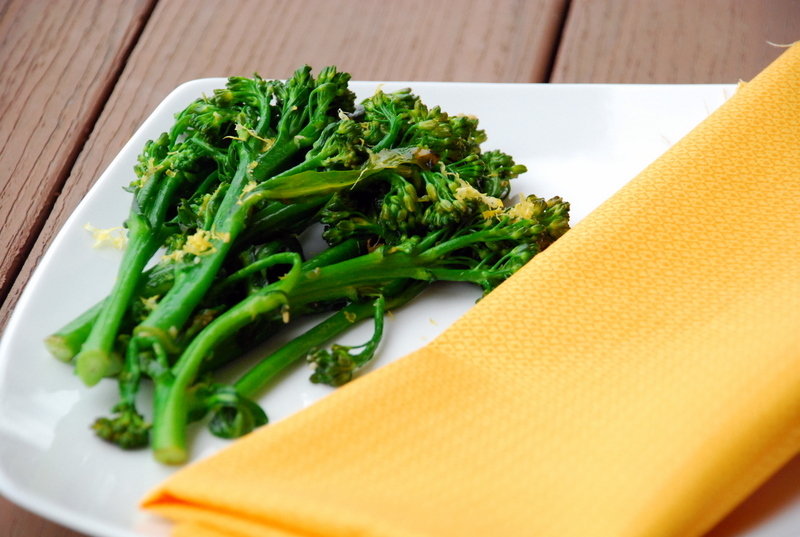 Broccolette is similar to broccoli but with smaller florets and longer, thin stalks. 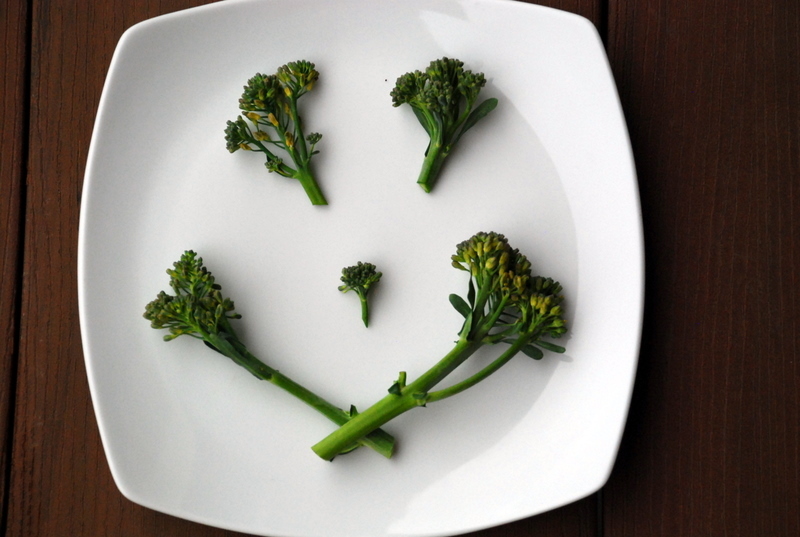 It’s a cross between broccoli and Chinese kale, and is slightly sweeter than broccoli. I think it has notes of asparagus too, but don’t tell my kids. I found mine packaged in the organic section of the grocery store. This would be a most excellent “something green” to serve on St. Paddy’s Day! Also, if you have any leftovers, they’re great thrown in some chicken noodle soup the next day! Blanch the broccolette in a large pot of boiling salted water for 2 minutes. Drain immediately and immerse in a bowl of ice water. Melt the butter in a large saute pan. Add the lemon zest and garlic and stir. Drain the broccolette and add it to the garlic mixture and heat for 2 minutes. Add the lemon juice, 1/2 teaspoon salt and the pepper, and toss well before serving.